M-I-C-…see you real soon! 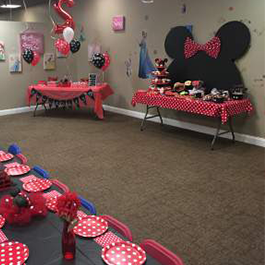 For a Mickey Mouse birthday party (and/or Minnie Mouse party) at Kids Kustom Parties in Palatine, IL. 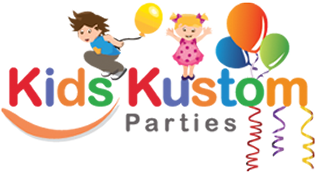 We offer three magical birthday party packages to fit your child’s imagination: gold, silver, bronze. 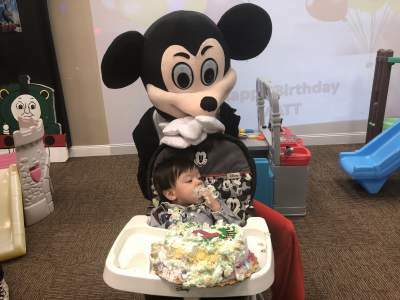 Plus, your child and guests will enjoy games, stories, a special craft, and three screens of Mickey and friends on our Interactive Performance Theater. 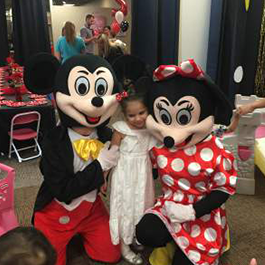 If you prefer to have a home party, Minnie and Mickey Mouse and other kids party characters can come to your venue. Walt Disney wanted to call the now beloved mouse, Mortimer. His wife, Lucille, persuaded him that “Mickey Mouse” sounded cuter. Mickey first debuted in Steamboat Willie in 1928. “Minerva” aka Minnie was also drawn in 1928. Walt Disney was afraid of mice.